An Egyptian Christian prays moments before his beheading on a beach in Libya (2015). 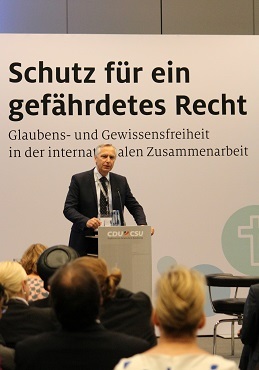 Over 100 parliamentarians from 60 countries met this week in Berlin for a series of workshops and seminars under the title, “An Embattled Right: Protecting and Promoting Freedom of Religion of Belief”. The second conference of this size after last year’s meeting in New York, it was organised by the International Panel of Parliamentarians for Freedom of Religion or Belief (IPPFoRB) and hosted by the Konrad Adenauer Foundation. German Chancellor Angela Merkel opened the last day (14 Sep.), a public symposium with about 300 participants – including NGOs, church representatives and media – held in Germany’s Parliament, the Reichstag. She was met with great enthusiasm; many expressed gratitude to Germany for its “welcome” policy, and for sheltering so many refugees from countries where minority Christians are being persecuted – Syria, Iraq and many others. Merkel assured the conference that on her foreign visits she addresses her concerns that human rights are not being upheld – in countries like China, Iran and Pakistan. She said that in Germany she wants to promote compulsory religious education for every child in school – about every major religion, as well as philosophy and ethics – though it’s not in her power to enforce this. Better education is the key to understanding and ensures a productive dialogue between cultures and religions, she said. “The logical consequence of freedom is a living and kicking plurality,” said Merkel. But she stressed that, for her, the wearing of a full veil in public hinders integration: she said that in public places such as courts, or for government employees such as teachers, this should not be allowed. Volker Kauder, parliamentary group leader for Merkel’s conservative Christian Democratic Union of Germany Party (CDU), who’s campaigned against the persecution of Christians for their faith, summarised the global situation: persecution and the violation of human rights have never been worse than at this moment, he said. Whereas in previous years the persecution came from governments, he said it’s now coming from non-government forces such as ISIS, Boko Haram and others, and in countries where governments are dysfunctional or where leaders turn a blind eye. The only positive development he shared was from India’s Odisha state, where nationalistically-motivated Hindus have persecuted Christians: he said intervention by the German government and his persistence in talking to leading Indian government figures has helped to ensure victims have been paid compensation and guilty parties have been sent to jail. “No leader wants to be accused publicly of being a persecutor”, said Kauder. He encouraged more MPs to join the IPPFoRB and promised to promote it in the Bundestag in the coming week, as German MPs will be debating religious freedom. According to Johannes Singhammer, Vice-President of the German Bundestag, Coptic Christians in Egypt now have a better measure of religious freedom. He was concerned that the on-going war in the Middle East is destroying the historic Christian heritage of thousand-year-old buildings. Of more than a million Christians in Iraq before the 2003 war, at least 700,000 have fled the country. Quoting information from Open Doors, an international charity that supports Christians under pressure, he said persecution is on the rise compared to recent years. “Persecutors are operating in the dark, so it’s our responsibility to bring their deeds to light,” said Singhammer. Although the discussion “should not lead to digging trenches between religions”, one solution, he said, “could be to cut the money flow to oppressive governments”. Ján Figel from the Slovak Republic was introduced as the first Special Envoy for the promotion of Freedom of Religion or Belief Outside the EU. 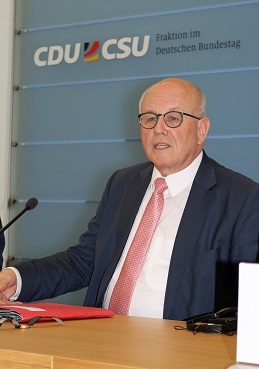 While welcoming the creation of Figel’s new post, Volker Kauder bemoaned the fact that Figel can give only two days a month to the role and has only one assistant. Kauder promised he would try to change this. A Macedonian MP pointed out that many other countries should have special envoys. He praised Germany as a role model for debating the issue in Parliament, as did Rabbi David Saperstein, US Ambassador-at-Large for International Religious Freedom. Saperstein said the subject seemed to be a “no-go” in American debates in the Senate. 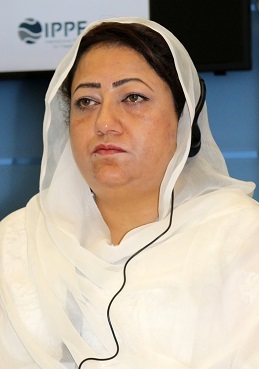 Asiya Nasir from Pakistan, a founding member of the IPPFoRB, was another speaker. Nasir, a Christian, is in her third term as a parliamentarian in the National Assembly of Pakistan, where she is in the Jamiat Ulema-e-Islam Party as a minority MP, and said she has earned the respect of Muslim MPs. 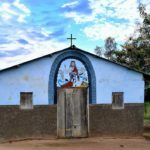 In Pakistan, she said, churches are allowed to have their own buildings and gather for services, but that they are prohibited from sharing their faith with non-Christians. The blasphemy law prevents Christians from doing so, she said, and it has also been misused to persecute Christians. 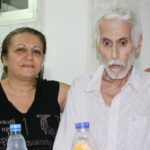 She cited the example of Shahzad and Shama Masih, a young Christian couple burned alive by a mob after they it was announced from a mosque’s loudspeakers that they had burnt a copy of the Qur’an. It is due to Nasir’s work as an MP that mosques are no longer allowed to use their speakers for this purpose. 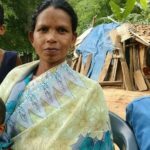 She said her motto is, “You cannot progress in isolation”, and that she continues to work with other minorities who are also deprived of their rights. Another representative was Vian Dakhil, the only Yazidi member of the Kurdish party in the Iraqi parliament. She described the situation of the Yazidis, a Kurdish minority. Since August 2014, she said the Yazidis have been attacked, killed and enslaved by ISIS. Thousands of men have been killed, 6,000 women and girls have been kidnapped and raped, hundreds of thousands live as refugees in tent camps. 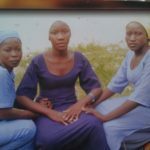 Sometimes she said they are able to buy back girls from ISIS for US$1,000, but the girls have been heavily traumatised. Four advocacy letters addressing specific religious-freedom concerns in Eritrea, Pakistan, Sudan and Vietnam were signed by the parliamentarians and attendees. In them were several names of church leaders who are imprisoned, in detention or under house arrest solely for practising their religion. Also criticised in the letters were: torture of prisoners, the confiscation and demolition of church buildings, and forbidding the distribution of books and scriptures. Volker Kauder announced that delegations would be revisiting these countries to assess whether any progress is made. 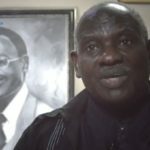 Another result of the conference was that an African MP announced that an African IPPFoRB group had begun in conjunction with the meetings in Berlin. Leonardo Quintao, a Brazilian MP, shared that a South American IPPFoRB branch will meet later this year in Paraguay. David Anderson, an MP from Canada and member of the IPPFoRB Steering Group, said: “Make no mistake, with 74% of the world’s population living in countries with high or very high restrictions or hostilities, freedom of religion or belief is an embattled right and the defining issue of our time. Freedom to believe is what shapes our common humanity and, if we are not careful, we risk losing it.” Summing up the conference, he reminded MPs that they are “multipliers” responsible for bringing in even more people, and that “the marathon has only just begun”. “We have come far in a short time. Starting with only five MPs three years ago, we are now an ever growing network and have accomplished much,” said Abid Raja, MP in Norway, also on the steering committee. Many agreed that one of the biggest strengths of the IPPFoRB is that it’s an organic network and not a set, inflexible organisation. As an example of success, Raja cited a recent visit to the government of Myanmar by MPs of five countries to address human-rights violations. Baroness Elizabeth Berridge, Member of the House of Lords, UK and steering member of the IPPFoRB, noted that the North American team is less likely to address problems in North Korea than, for example, an Asian team; Malaysian MP Charles Santiago confirmed this by reporting a positive dialogue with the North Korean embassy in Malaysia. Claudia Atts is a Berlin-based freelance journalist.